Filled With Grace, Wrapped in Glory – God's Grace ~ God's Glory! God’s grace and God’s glory were uppermost in my mind and heart when I started this blog. Yet, the ability to write about this realm was difficult to grasp. Four years later these are still not simple things to write about but they are worthy to be expressed as best as possible, using His words. As, from my experience of the past years, it is good and nourishing to go, filled with grace, into another year, wrapped in His glory. Such of God is unsearchable, and what we find is more than enough for a book. When we look to the source we find this pouring out by His grace and from His glory. Please read and meditate on what God speaks to us as His children. We may take each as a separate part, but to meditate on His words are important to understand the content and the effect of His grace and glory. We speak of these separately and yet they are both part of the wholeness of God. Both are realized in and through the trinity, especially as they are revealed in Jesus Christ, the Son. In John 1:14, and 16 Jesus was the Word made flesh, to dwell among men, full of grace and truth. And of his fulness have all we received, and grace for grace. Grace births us into His family and His kingdom (a new realm). This is to be filled with grace, filled with His fullness (Ephesians 3:19). This is the mystery of which Paul spoke. God’s grace and glory are accorded with faith and love which is in Christ Jesus. Grace is that power that fills us and brings us into God’s glory, which is Christ. He is both the filler of grace and the wrapping of His glory. Christ is not only the hope of glory, but the manifestation of glory in us and surrounding us. We experience this glory, not only by the power of Christ in us, but bringing us to the reality that we are “IN CHRIST.” The person who is born of the Spirit of Christ, the Spirit of God, is brought to dwell in Christ. Baptism is the sign that Christ is in us and we are in Him. 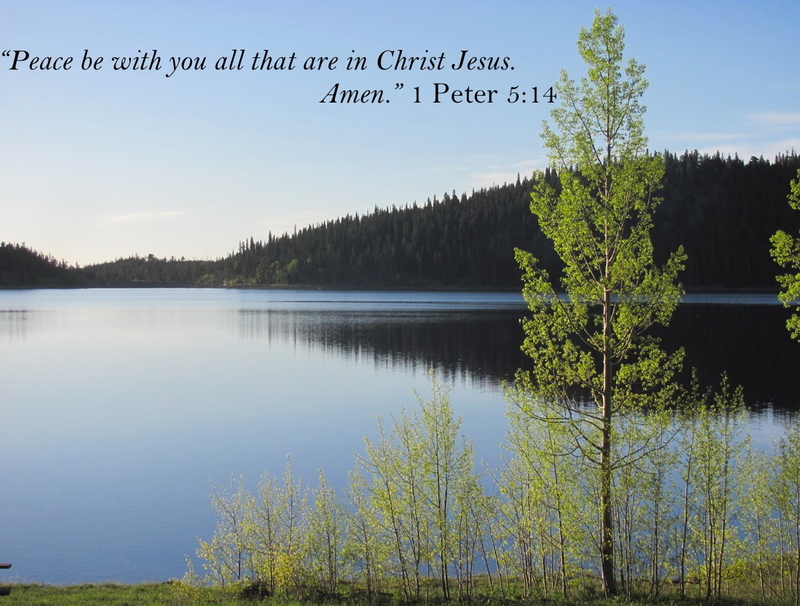 Christ in us, and us “in Christ” is the reality that we are filled and wrapped in Him. In His church, He fills all its members with all the grace that is needed. (Ephesians 1:23) Paul prayed for this as the power (of the Holy Spirit) working in us exceeding abundantly above all that we could ask or think (Ephesians 3:14, 16, 20). The fullness of His grace, and the completeness of our being in Christ and His glory are not for our fulness alone. It comes in the unity, as each member comes together as one body of Christ; each one bringing the measure of grace that we receive. (Ephesians 3:18-19) We continue to grow in the grace and knowledge of our Lord Jesus Christ as we together wait for His coming. His fullness and His wrapping keep us; yet, in this world, His grace and glory in us will be always susceptible to attack by the enemy. But His grace is sufficient. There are promises given in Christ for future glory. As we continue in Christ we experience more of His fullness of grace and more of His glory. It is the Spirit’s work of sanctification in and through us. Dear Father, all grace and peace are from you, in Christ, and by your Holy Spirit. We thank you and praise you for a blessed year; and pray your blessings on your people and mercy for all in the coming year ~ for your glory and our joy. In Jesus’ name I pray. Amen.